When you are Beyoncé and Jay Z, your trip to a famous museum is absent of other tourists and the ensuing Facebook pictures garner nearly 500,000 likes. Jezebel, Vanity Fair, and every last person on social media is currently discussing the latest tourists to walk around the Louvre to see what's hanging. 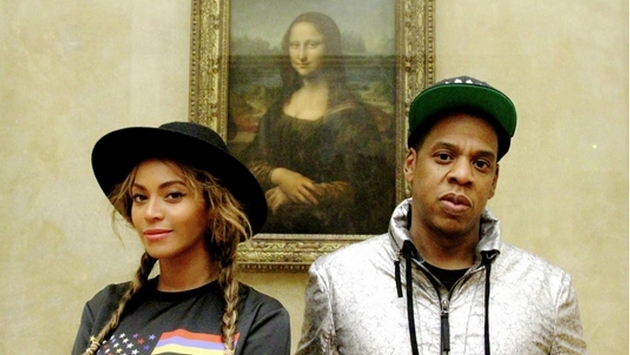 It seems Bey, Jay and little Blue Ivy enjoyed what Vanity Fair calls an, "empty museum." And here is proof positive that a great manicure and bling can only add to a painting over 500 years old. Now we love to see Beyonce snapping off countless photos, because it reminds us that we are essentially the same. Sure, we don't get the Louvre emptied, but we can't help the need to chronicle every last memory by clicking away as if we can somehow take a bit of the place how with us. His name is Hova and he is taking the wife and kids to the museum for a spell. You know, no big whoop.